New Galaxy S8 and Galaxy S8+ update brings new improvements. News New Galaxy S8 and Galaxy S8+ update brings new improvements. During this month, a lot of Samsung devices have been receiving various types of updates. Right now, almost all Samsung’s eligible devices are updated to Oreo, while the others continue to receive updated security patches. It’s good to see Samsung allocating this much bandwidth to regular software updates, and hope that the trend continues. Today, the company announced an unscheduled update for its last years’ flagships; the Galaxy S8 and S8 Plus. Shortly after receiving Oreo, both the devices got an additional update which brought a few bug fixes and optimizations. Today’s update is no different, and it improves the stability of the camera, Bluetooth, and Wi-Fi. This will also bring the April security update to the devices as a subsidiary which fixes the Android security vulnerabilities. 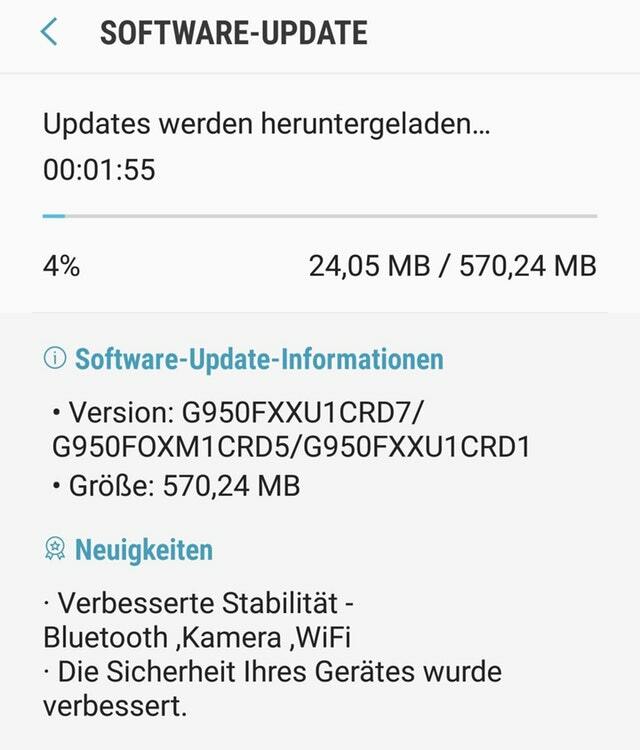 The build number for the update is G950FXXU1CRD7 and G955FXXU1CRD7 for the Galaxy S8+ and S8+ respectively, and it is roughly 570MB in size. For now, the only market that has received the update is Germany. Taking a look at some of the trends set by the past updates, it’ll only be a matter of days before it begins rolling out globally. To check if you’re eligible, open the Settings app on your phone, navigate to the Software update menu, then tap Download updates manually.